One of the limitations of an anechoic chamber comes from measuring very low frequencies - the anechoic chamber has limited accuracy below 85 Hz. In order to obtain completely accurate measurements of the very long sound waves that come from low notes, Axiom has built a 90 foot tower upon which we hoist subwoofer prototypes. 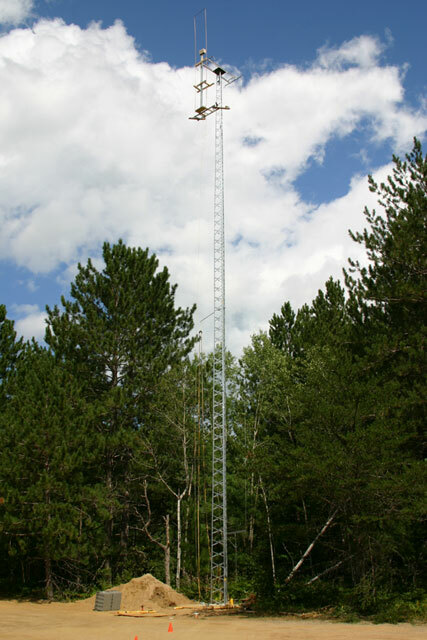 In order to obtain 4-pi 360-degree measurements, the tower must be used in early morning or evening, when the wind is still.